When Stormie the Weathergirl says "Daddy, It's dark that way, it's going to storm." I need to start listening. 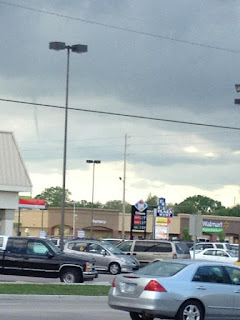 Several tornado warnings were out west of Wichita and the storm was heading this way. We made it to one of the more popular storm spotting locations at 25th and I-235 in Wichita when the lightning started announcing the coming storm. Like most of the awesome lighting tonight, it all happened off lens. Little bolt that could. "I think I can, I think I can . . . "
Interesting shot, had to tone it down a lot to get anything to show through, but white. So the Lyrid meteor shower was supposed to peak last night with about 15-20 meteors an hour. I took the new camera out with hopes of trying a long exposure to see what I could get. What did I find? One falling star (opposite of camera's location), a band of coyotes howling all around me, and the fact that I can't escape city lights around me. Billions and Billions and Billions of stars . . . either that or my ISO is too high. Something caught going from the bright star in the middle and moving left (select the photo to see it full sized). Article on the problems of storm chasers. It's been a while since I used the words chase log. Yesterday's apocalyptical weather had been forecast since early last week. NOAA had the Wichita area under alert and even national media's lead story was about potential storms. Local proms changed location, concerts moved indoors, and there was a very heavy fear over the city of Wichita on Saturday. It started out with overcast sky that continued most of the day. One thing that storms need to pack a punch is sunlight. It creates warm air that rises and adds convection (or the movement of air vertically in the atmosphere). Last time we had a set up like this was in May 10, 2010. Lots of warning and overcast skies led to one of the largest non producing wall clouds I've ever seen. Storms fired out west and moved NE along a dry line set up around Dodge City. 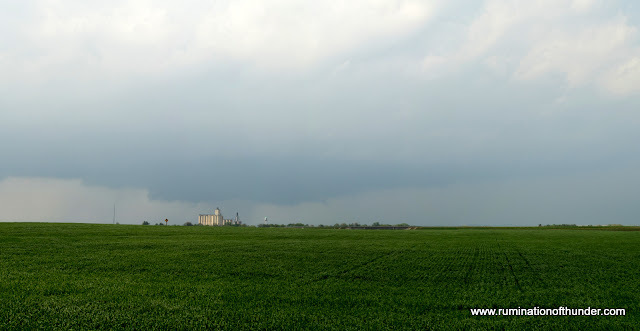 Around 3pm, not seeing much movement towards Wichita, I grabbed a chase partner and moved out towards Pratt. I like to visually chase and with no hallmarks seen due to overcast sky, we had to rely on radar. We decided to stop in Cunningham and watch a storm approaching the Pratt, Kansas area. We were a decent length away , but could see a pronounced wall cloud and funnels near Pratt. 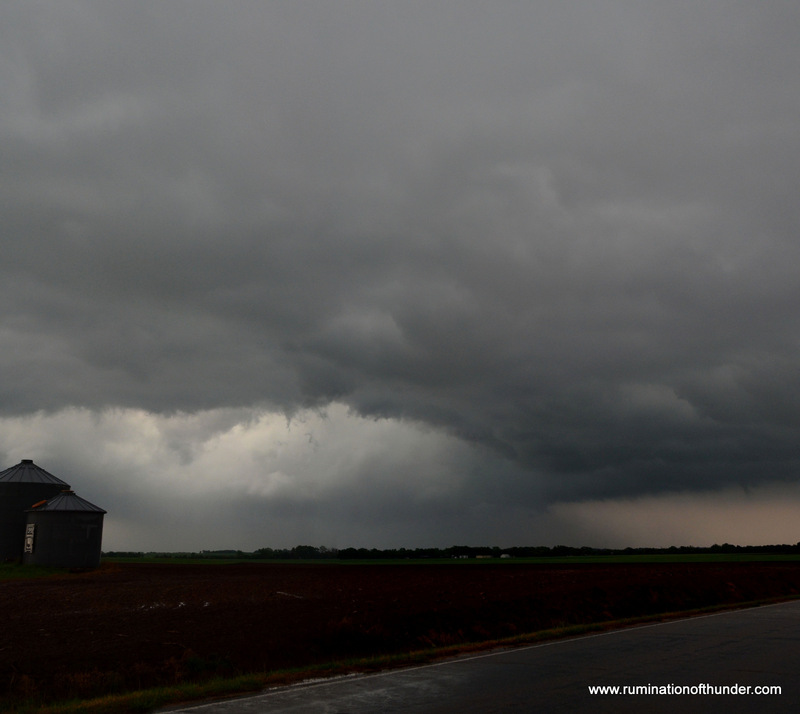 We progressed on the storm but the rain was caught up in the inflow and weakened the wall cloud. Due to the hail reports and some loss of energy in the storm, we followed a storm coming up from the Medicine Lodge area. The storms carried a one-two punch with power going back and forth between the storms. They never fully developed as we observed them. We moved around for a while and found the storm in Kingman moving into Reno county. Near Pretty Prairie, the storm developed a nice rear flank downdraft but the wall cloud had issues developing and respawned in a couple different areas. 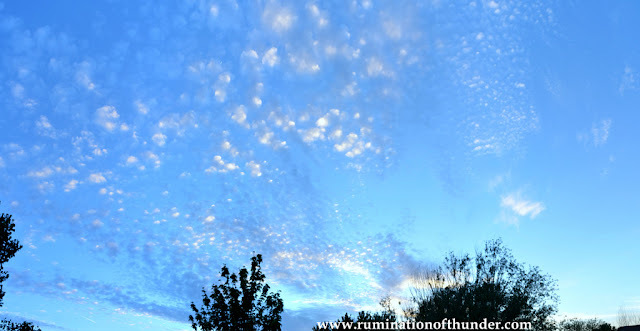 Since this storm was trending down and the sun beginning to set, we broke off the chase. Unfortunately, the storm powered up at dusk and caused significant damage to Lyons and Salina. In Kingman, dining at the world famous McDonalds, we came across another wall cloud moving east of Kingman. Storms powered up in Oklahoma and with multiple warnings about the dangers of storms near Wichita, we headed back before the storms had entered Sedgwick Co. Several reports came in of large wedge tornado developing SW of the city and before long, the sirens were sounding. Due to it being dark and a very dangerous situation, I battened down at home and rode the storm out. 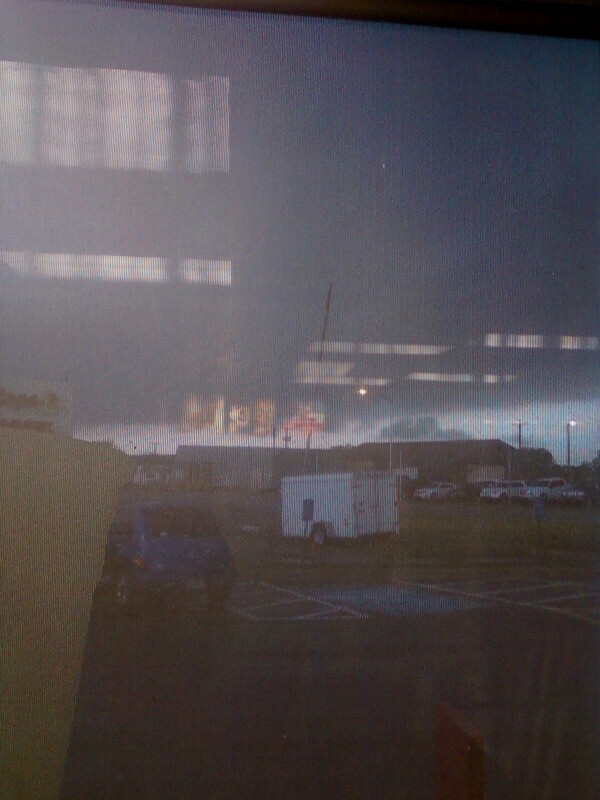 A tornado emergency was issued and the storm looked to move through the city. Strong tornados tend to twist so hard that they make a right turn and cut themselves off from the energy sustaining them, and this one did. The storm moved east out of the city, but preliminary estimates claim $290 million in damage to Wichita and a state of disaster has been claimed. Luckily, no fatalities have been reported and only minor injuries occurred. Between watching parts of Doomsday Preppers and the Weather Channel, I got a feeling in the pit of my stomach that we may not be prepared. 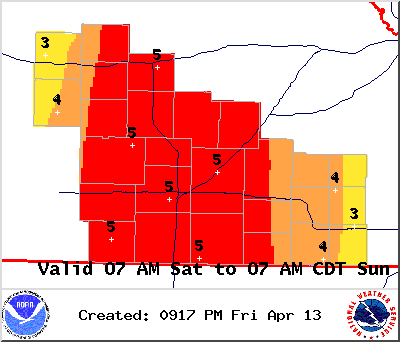 The National Weather Service already upgraded tomorrows storm threat to "High" and raised the treat level to 5 (meaning a very significant hazard). They even talked about the potential of storms on the national news this evening. Unfortunately, these storms could hit after dark tomorrow, and four local school districts are hosting their prom. Several schools have already moved the prom from local businesses back to the high school with a FEMA safe room. Tonight, there was some language about severe storms this evening, but tonight, the atmosphere just isn't ready. So as I watched the sun set, I wondered, will we be ready tomorrow? I'm not panicked but if they mention "not to panic" like they already have five times on tonight's news, I may start running down the street yelling. Labels: doomsday preppers, NOAA, storms, sunset, taste of things yet to come, tornado. 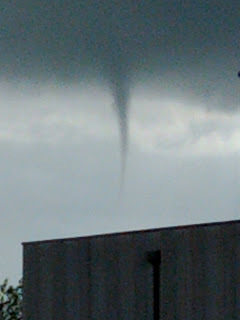 Sedgwick Co. Kansas recently had a couple cold air funnel events happen near the city of Wichita. Both events, this last Wednesday and the previous Thursday, were created by cold air masses over the city. The air mass tends to cause a little spin in the atmosphere and cold air brings it down. Sometimes rain can help form them as well. They are usually high based, weak, and rarely touch down. If they do, they may cause weak EF0 damage (65-85 mph winds). For a little longer discussion on cold air funnels, look below. Looking to the SW from Kechi, Kansas. 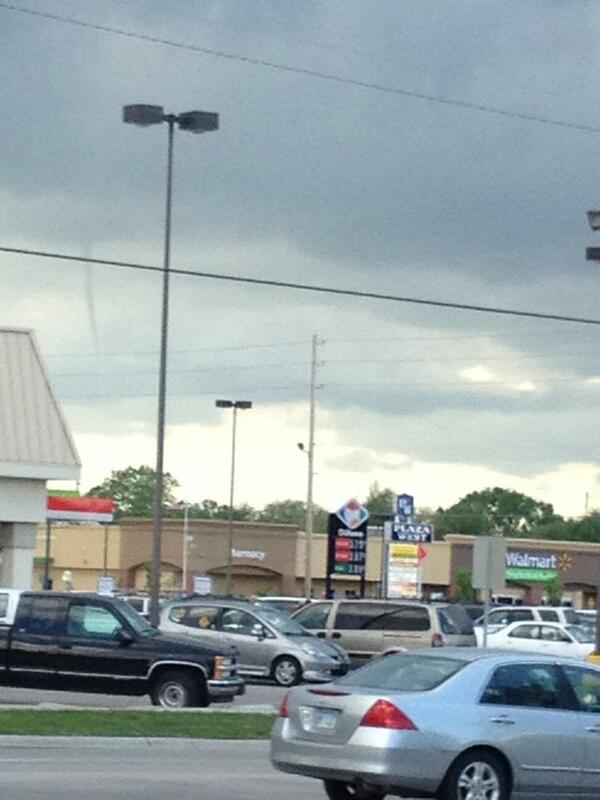 Funnel is very faint in the middle of the photo. 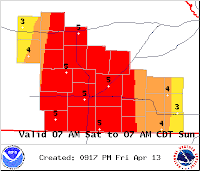 I took this from the Sioux Falls, SD National Weather Service. 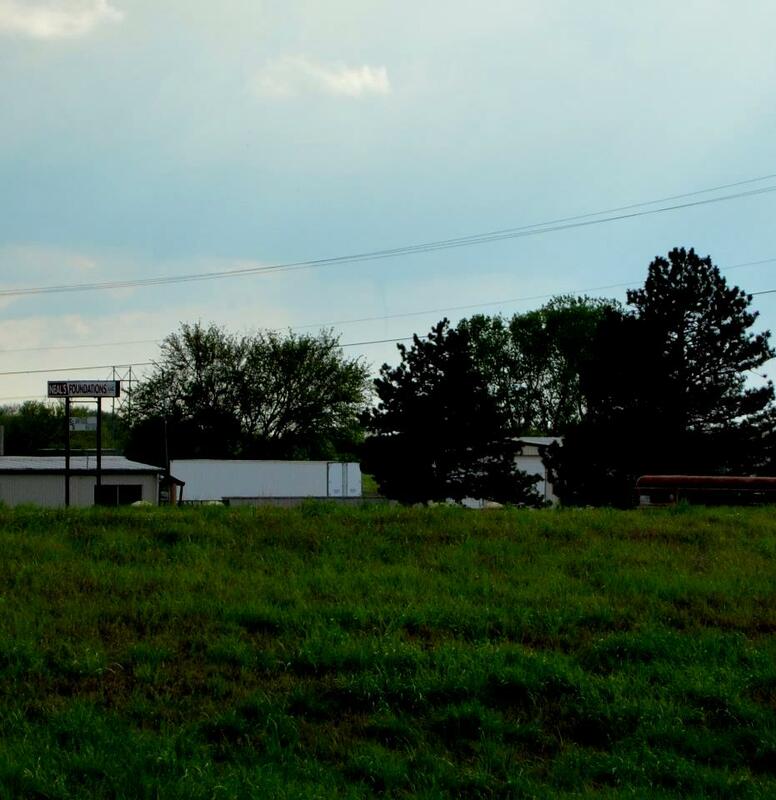 What is a cold air funnel? 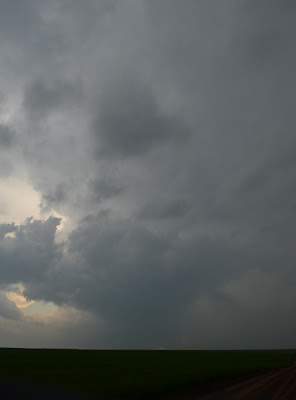 There is much debate about what causes a "cold air funnel" and scientists are still researching this phenomenon, however, the term "cold air funnel" is one of the terms used by meteorologists to identify funnel clouds that are not produced by a mesocyclone and/or are not in an environment typically associated with severe thunderstorms. Basically all funnel clouds are the same. The over-all weather pattern in which they form may be different but the mechanism for producing the funnel, namely, increasing cyclonic (or counter-clockwise) rotation, is the same and involves the vertical stretching of vorticity. Vorticity can basically be thought of as the amount of "spin" inherent in the atmosphere produced by wind shear. As cyclonic vorticity (or rotation) is stretched vertically the area of rotation decreases so the speed of rotation must increase to compensate. This is analogous to an ice skater pulling in their arms and legs and increasing their rotation. Based upon observations of cold air funnel events during the past few years we have noticed that they seem to generally prefer an environment when there is large scale cyclonic (counter-clockwise) rotation associated with a large, slow moving, closed low in the upper atmosphere. Since these lows have been circulating in the atmosphere for a long time (compared to the time scale of severe thunderstorms) they stir the air and generate smaller scale rotation providing a "vorticity-rich" environment. These lows also have a cold pool of air associated with them resulting in unstable conditions for weak thunderstorms to form. This is why the term cold air funnel got its origin. However the fact that there is cold air aloft does not govern how these funnels form, it only provides the instability for thunderstorms (convection) to form. Based on our observations one explanation of how cold air funnels form may be that in the growth stage of these weak thunderstorms the updraft stretches pre-existing smaller scale vortices within the vorticity-rich airmass causing an increase in rotation and the formation of a funnel. This process is similar to that shown by research meteorologists in the formation of landspouts which typically form on the High Plains. Cold air funnels generally are weak, short lived, and usually do not touch down. 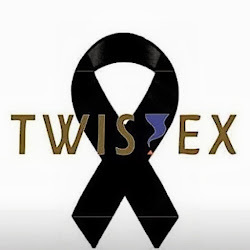 One of the reasons that they do not touch down and, by definition become a tornado, may be that there is little rainfall associated with these storms to produce a downdraft in order to generate a low level circulation. 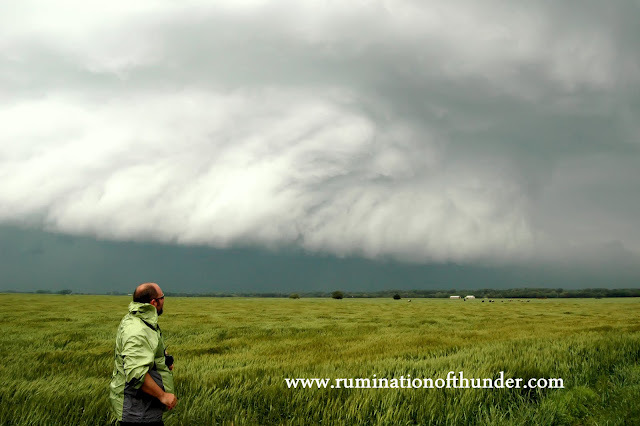 Recent research suggests that the interaction of descending rainfall near the surface and the thunderstorm updraft may be very important in generating a low level circulation which links with the upper level mesocyclone circulation to form the tornado in typical severe thunderstorms. These processes are not present with "cold air funnels".